Jerusalem: Facebook has blocked Prime Minister Benjamin Netanyahu's son, Yair, for 24 hours and removed his post calling to avenge the death of the two IDF soldiers killed in the terror attack in Givat Assaf. 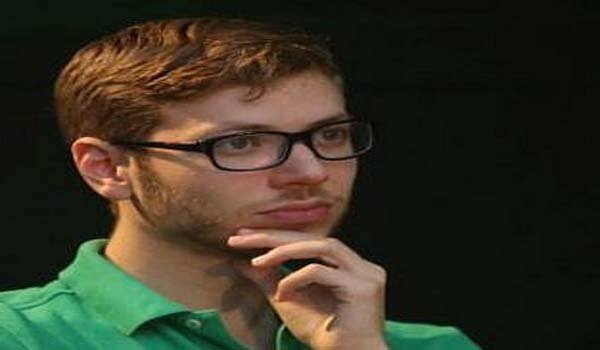 Yair Netanyahu complained that the "Thought Police" has reached him and claimed that Facebook is trying to silence him in a place that should allow everyone to voice their opinions. "The Thought Police of Facebook has found me! Congratulations!" Yair commented. "Facebook has official pages created by Hamas, Hezbollah and the Iranian government members, as well as endless pages calling for the murder and extermination of Jews. There are also thousands posts with death threats for me and my family that do not get removed by Facebook, as they fall under the label of freedom of speech, The Jerusalem Post reported. Yair called Facebook a dictatorship and showed his bafflement over being blocked for 24 hours. There will not be peace here until: 1. All the Jews leave the land of Israel. 2. All the Muslims leave the land of Israel. I hope it's the second,? Yair posted earlier on Facebook. After receiving backlash for his post, he later wrote, Why are people who have been calling to evacuate the settlers and establish a Palestinian state free of Jews appalled by this post. Do you know where there are no terror attacks In Iceland and Japan? Coincidentally there's also no Muslim population there, Yair also wrote.This is not the first time Yair has been in the spotlight. Last Monday, he posted on Facebook that the press, as well as left-wing NGOs and politicians, are traitors. His father disavowed the comment.In 2017, Yair posted a diagram featuring antisemitic tropes such as Jewish billionaire George Soros, who funds left-wing causes and organizations in several countries. The post depicted Soros controlling the world via other conspiracy theory figures like lizard people, known as Reptilians, and the Illuminati or Freemasons.